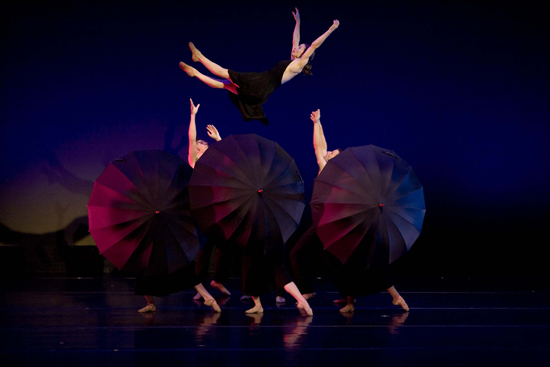 The dance piece resulting from that study, “In Zelda’s Words” was choreographed by Maloy, who launched the contemporary ballet company Terpsicorps in Asheville 15 years ago. 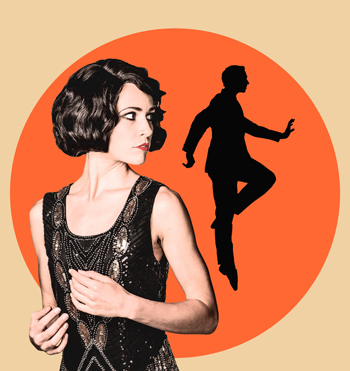 The June 2018 remiere of the performance, based on the complicated, nuanced and ultimately tragic relationship between the Fitzgeralds, featured the Terpsicorps company dancers joined by the Firecracker Jazz Band. The company’s 2018 season also includes “Le Suil Go…” a work created by Maloy in 2003 for the Nashville Ballet, and “Afternoon of a Faun,” choreographed by Salvatore Aiello, late director of the North Carolina Dance Theater. The season showcases the efforts of Maloy and her company, a somewhat unlikely success story. Prior to her 2003 move to Asheville, Maloy worked for 13 years with the NCDT (now known as Charlotte Ballet), and had choreographed a number of performances. “I kept getting this advice from people that I should start a company,” she says. Maloy knew she wanted to stay in N.C., and considered several locales. “With Asheville being the artistic and open-minded community that it is, it seemed like a really good fit,” she says. As Terpsicorps’ artistic director, Maloy soon discovered that fundraising is a serious challenge. “When I began working on it, I didn’t even know how to use a computer.” She persisted, and in fairly short order Terpsicorps established itself with an annual summer season of performances. The company briefly expanded to Winston-Salem; unfortunately, that venture coincided with the recession that began in 2007. For now, Terpsicorps’ current season renews the company’s ventures outside of Asheville, with performances in Waynesville and Brevard. And the Asheville staging of “In Zelda’s Words” rekindles a decade-long creative relationship with Firecracker Jazz Band, illustrating the company’s collaborative approach.